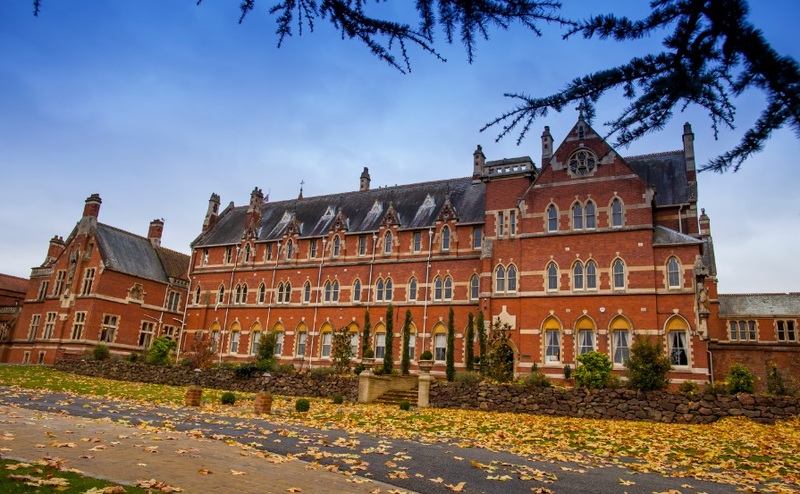 Once home to a silent order of Benedictine nuns, Stanbrook Abbey has been transformed into one of the UK’s newest luxury hotels and event centres, where period detail and modern technology work together to deliver an outstanding guest experience. Nestling in the heart of the Worcestershire countryside, in the shadow of the Malvern Hills, the Abbey is a Grade II listed property designed by renowned Victorian architect Augustus Pugin. When the nuns moved out in 2010 the 79,000 sq ft empty property complete with 50-acre estate was purchased from the Vatican for £4million by entrepreneur Mike Clare, ex-founder of the Dreams bedding chain. Since then it has undergone an extensive refurbishment programme costing some £5million. While much of the original detailing and features being kept to tell the story of its former use, it is now part of a portfolio of six properties including Towers, Castles, Forts and Monasteries throughout Britain run by Clare’s new business ‘AmaZing Venues’. This specializes in rescuing historic venues from various states of disrepair and turning them into outstanding hospitality locations, enabling them to be preserved, used and enjoyed by both present and future generations. When it came to providing guest security for the property careful thought was required once the building had been gutted, made structurally sound and the renovation was well under way. Clare appointed Lock-Tech Systems, leading specifiers, distributors and technical service providers of architectural ironmongery, automatic doors and access control systems to oversee this part of the project. When approaching this specification, we knew the project would prove challenging. As well as traditional hotel stays the Abbey also specialises in weddings, corporate events and house parties, so making sure guest rooms were secured by using the latest high technology products was a major priority. However our focus was not just on the sale but also on providing the customer with extensive advice to make sure the solution recommended was both viable and cost effective. Given Stanbrook Abbey’s historic significance and Grade II listing, all the original doors and the black wrought iron ring handles had to be retained. This meant coming up with a solution that would be visually attractive, technologically competent and minimally invasive to the actual doors in order to meet the requirements demanded by English Heritage. To manage the properties diverse security needs, Lock-Tech Systems installed an electronic access control solution from SALTO Systems. We selected SALTO’s Aelement product for this project as it has been specifically designed for the hotel market. The fact that it is a battery operated stand-alone solution and needs no hard wiring makes it ideal for use with the doors at the abbey. The 57 individual bedroom suites are now fitted with small, slim Aelement smart card readers in a black finish, co-ordinating with the black wrought iron ring handles, and ANSI mortise locks with electronic privacy function for guest security. 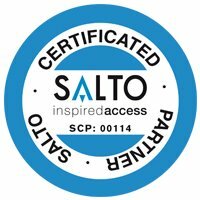 To ensure access is never compromised the doors also incorporate SALTO’s patented data-on-card SVN (SALTO Virtual Network) technology as standard. This distributes all the latest access information to the stand alone locks simply by guests and staff using their RFID cards in the hotel, ensuring all locks are kept updated and secure at all times. said Darren Keating, SALTO System’s National Account Manager Hospitality. This has been an interesting project that has blended old and new to deliver impressive results. The finished building is visually stunning and its new access control solution is both attractive and unobtrusive. It delivers the required level of guest convenience expected by the hotel, but also provides them with a wide range of benefits in terms of system management and administration functionality. We want Stanbrook Abbey’s visitor experience to be unique and special from the moment our guests walk through the door. Yes, it is important to create an aesthetically beautiful and inviting environment, but we want to go beyond that. We want our guests to know their comfort, convenience, and security comes first. We were happy to go with Lock-Tech System’s recommendation of SALTO. We like its sleek looks and its reliability. As a fully integrated access control solution it allows us to run the property smoothly and securely, and we can utilize its additional capabilities in the future if and when we wish.